One of Anglesey’s largest employers is putting in additional investment into its Llangefni plant to keep it at the forefront of its sector. Glanbia Cheese produces mozzarella for some of the UK’s largest suppliers, and Ynys Môn AM Rhun ap Iorwerth had an opportunity to see for himself the investment that has gone into the plant in recent years and to hear Operations Manager Geraint Evans explain the latest plans to stay ahead of the rest of the field. Latest plans are aimed at increasing output, but quality is even more important than quantity. 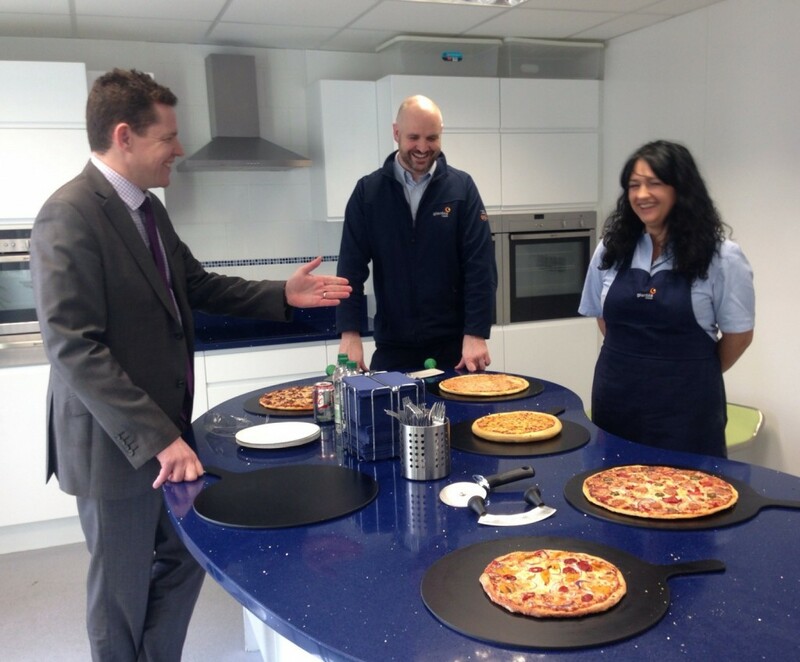 Top class mozzarella means some of the biggest names in pizza are among Glanbia’s clients, but the Llangefni factory is also a nerve centre for pizza creativity, with the head of Product Development Dr Anna Senn continuously seeking new innovative ways of using the product.